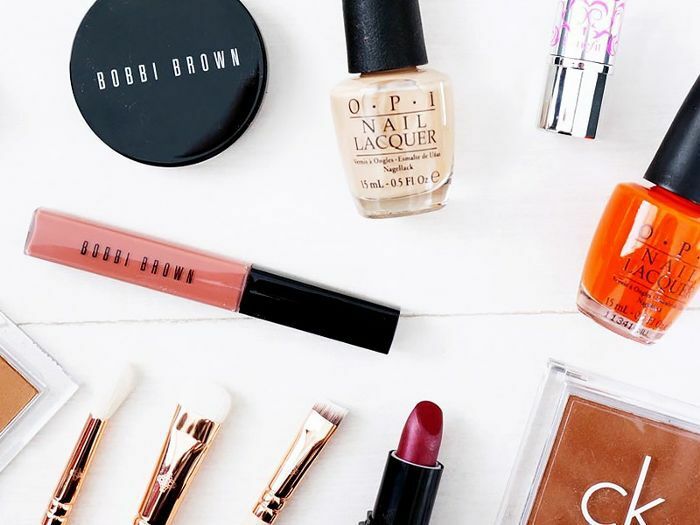 Get your wallets ready and clear up some space on that vanity—Black Friday weekend is upon us once again (can you believe it?! ), and this year's beauty lineup is a doozy. Scores of our favorite brands and stores are rolling out the best deals of the year, with deep discounts on covetable products, free bonus gifts, and even new items and sets that are only available for the next few weeks. There's a lot going on, which is why we thought we'd make your holiday shopping load a little easier. (Though let's face it—with sales like these, now is the time to stock up on your own inventory too.) Below, you'll find our comprehensive guide to the best deals from the best brands, a cheat sheet to make the shopping chaos a little less nuts. And stay tuned for more holiday shopping roundups, because we're just getting started. Blowpro: Score hair tools at Nordstrom for just $79 (down from $100-plus) through Saturday, November 28. CHI: Buy a ceramic flatiron for $80 at Target and get a bonus brush and mini blow-dryer. John Masters Organics: Get 25% off online purchases with code holiday15 from Black Friday through Cyber Monday. Kérastase: Get an extra 10% off and free samples with all online purchases from November 26 to December 2. Moroccanoil: Spend $100 and get a free hand cream trio through Cyber Monday. Shu Uemura: Get 10% off and free shipping when you spend $100 or more online from November 26 through December 3. Verb: Nab the Hair to Go travel kit for free after spending $42 or more online. BareMinerals: Get the Storybox Romance Collection for $49 (originally $242) at Macy's. Starts at 6 p.m. on November 26 and runs through Black Friday, or while supplies last. Beauty.com: Take your pick of countless free gifts with purchase from November 23 to November 30. Check out the updated list of goodies here. Birchbox: Get 25% off your purchase of gift subscriptions or full-size products with code BIGDEAL. Runs from Black Friday through Cyber Monday. Blushington: Get 20% off all salon services on Black Friday. Elizabeth Arden: Snag the Holiday Lip Kit (valued at $84) for just $15 at Macy's, starting at 6 p.m. November 26 through Black Friday. Estée Lauder: The Shine On Pure Color Gloss Collection, valued at $125, is on sale at Macy's for $20 starting at 6 p.m. on November 26. Lancôme: Get a lip gloss-and-color set at Macy's for $20 (originally $91) starting at 6 p.m. November 26 and running through Black Friday. Lorac: Spend $75 on Lorac products at Nordstrom and get a free cosmetic bag chock-full of more makeup. At Ulta, get the brand's new Love, Lust & Lace shimmer and matte eye shadow palettes for just $12 (down from $50). Make: Get 30% off all purchases online with code MAKEIN30 from Black Friday through Cyber Monday. Perfumania: In store, buy one fragrance and get another for just $20. Online, you'll get 25% off everything with free shipping, plus a free tote bag on orders of $100 or more with code BLACK25. Revlon: Take 40% off all products at Walgreens. Sephora: The store is rolling out its annual lineup of $10 deals, featuring can't-miss sets from Tarte, Smashbox, Butter London, Urban Decay, Make Up For Ever, and so much more. 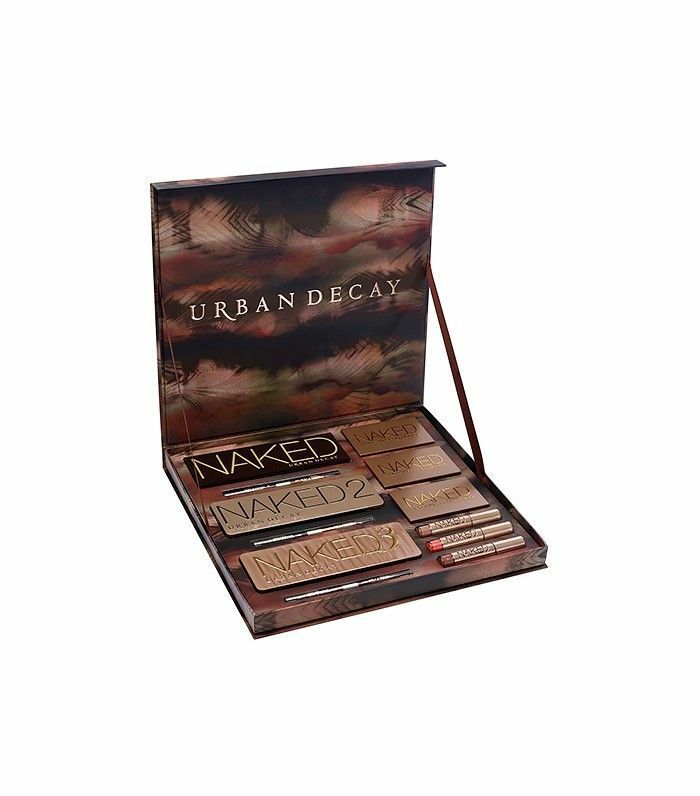 Urban Decay: Get 20% off all online purchases through November 28. W3LL People: Get 20% off online purchases from Black Friday through Cyber Monday. Bliss: Get 30% off pedicures and a free Foot Patrol to boot. Plus, get 30% off all online orders with code Dazzle30, as well as gifts with purchase through Cyber Monday. Caudalie: Spend $100 at boutiques and receive two travel products and a makeup pouch for free. Clarisonic: Score the beloved Mia 2 set for just $199 (down from $298) at Macy's, starting at 6 p.m. on Thanksgiving. Clinique: At Macy's, get a skincare-favorites kit, valued at $71, for $40. Colbert MD: Receive 20% off any online purchase from November 24 through November 29. Dermstore: From November 24 to November 29, nab 25% off sitewide, plus a free gift with any $150 purchase. Dr. Hauschka: Get a Vitalizing Care Kit and Moor Lavender Bath Essence free with any $100 purchase—plus, free shipping all around. Glow Recipe: Stock up on the best in Korean beauty with this sweet deal: Get 20% off any purchase of $70 or more with code FRIDAYGLOW. Goldfaden MD: Get 15% off your entire online order with code GREENHOLIDAY, from Black Friday until noon on Cyber Monday. Nugg: Score 10% off any order (plus a free deep-cleansing mask) with code BF15. Peter Thomas Roth: It's a skincare-makeup twofer: Get a free CC Eye Correcting Concealer (worth $42) when you buy a Mega Rich Body Cream. Skin Laundry: This quickie laser boutique is rolling out a tempting offer for those who are on the fence about giving it a try: Get a free starter kit when you opt for a membership and sign up for four treatments a month. Or, you can get 25% any products online without the commitment. Soko Glam: It's a K-beauty mega sale! Get 30% off sitewide, plus samples for orders over $100 through Cyber Monday. Space.NK: Spend $125 in stores or online and get $25 toward your next purchase, from November 25 to November 29. SW Basics: Save big on one of our go-to natural beauty brands with 30% off online through Cyber Monday. The Body Shop: Talk about a swag bag: The Body Shop is rolling out a limited-edition tote bag for Black Friday, and it's chock-full of goodies (to the tune of a $139 value): Find favorites like the Drops of Youth Concentrate ($37), the Shea Shower Cream ($5), the Olive Scrub ($20) and more—all for $35 when you spend $36. CorePower Yoga: Snag a $100 gift card for $80, which can go toward any future product or membership purchases. This deal is on from November 16 through the end of December. Physique 57: Get a $57 discount on 10-class packages in NYC and L.A. Hankering to try the cult-fave barre class at home? New video-on-demand clients also receive $20 off streaming subscriptions. Pure Barre: Visit your local studio for different deals on memberships and class fees, but everyone can get 25% off apparel and DVDs online from November 26 through November 30. Which deal are you most excited about? Have you started your holiday shopping yet? Sound off below!